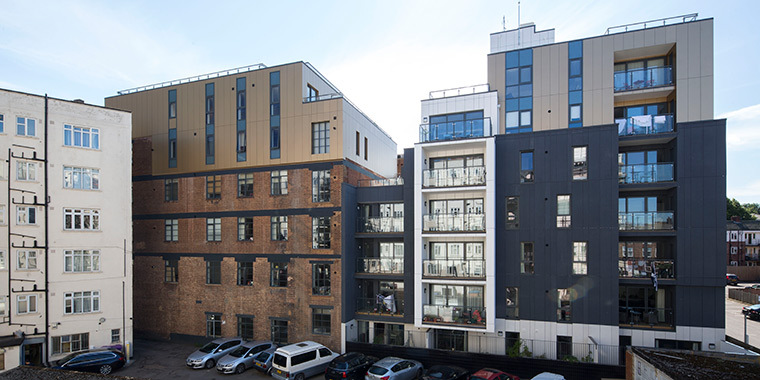 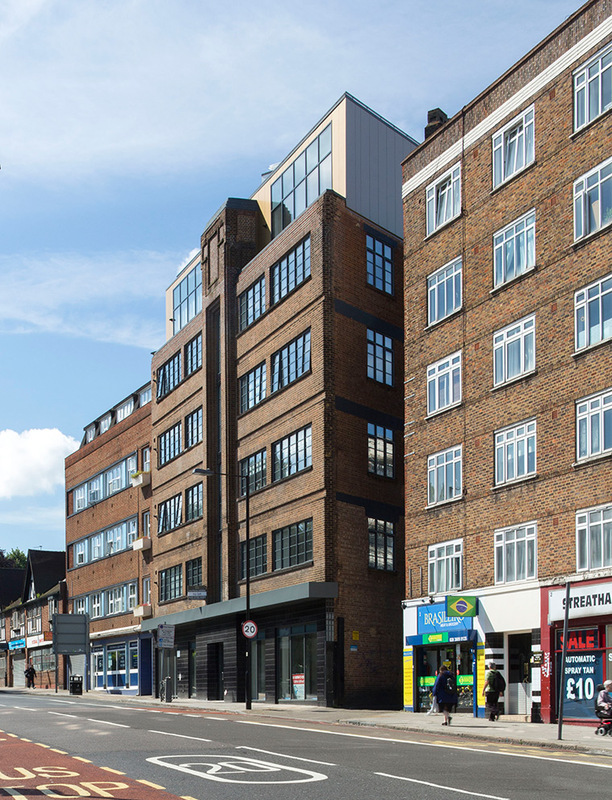 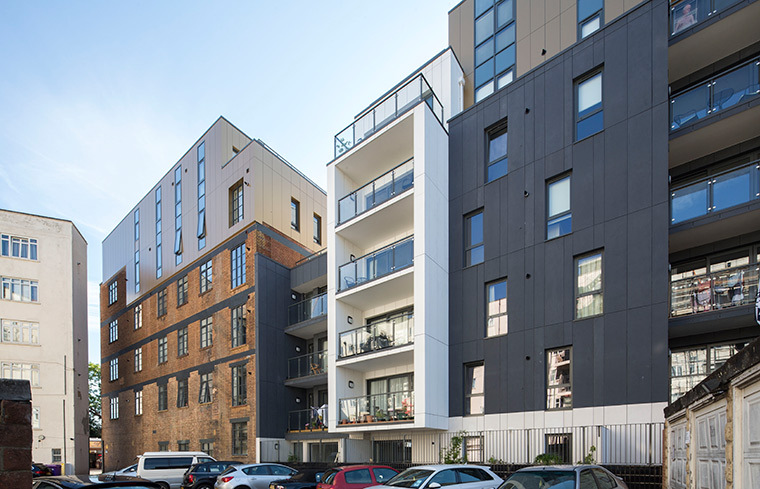 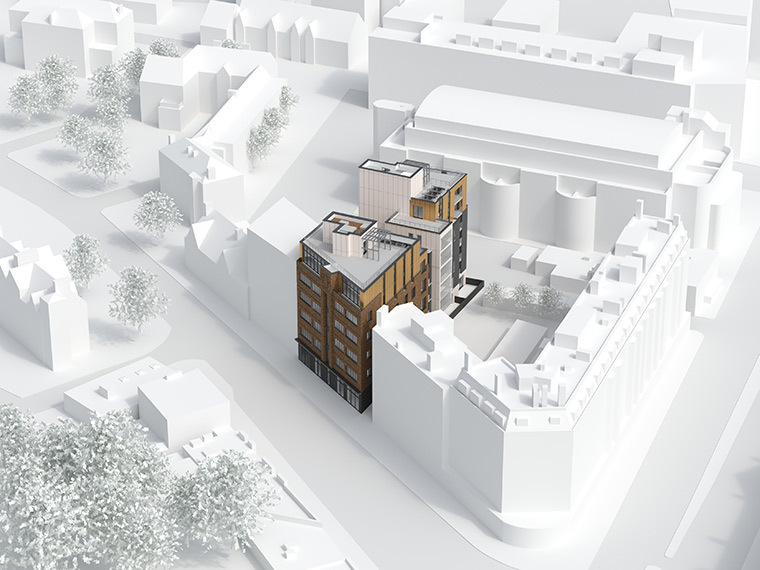 This project combines new build housing and the integration and refurbishment of an historic building in a Conservation Area to provide 35 new homes (with the majority for private sale) along with commercial space at ground level. 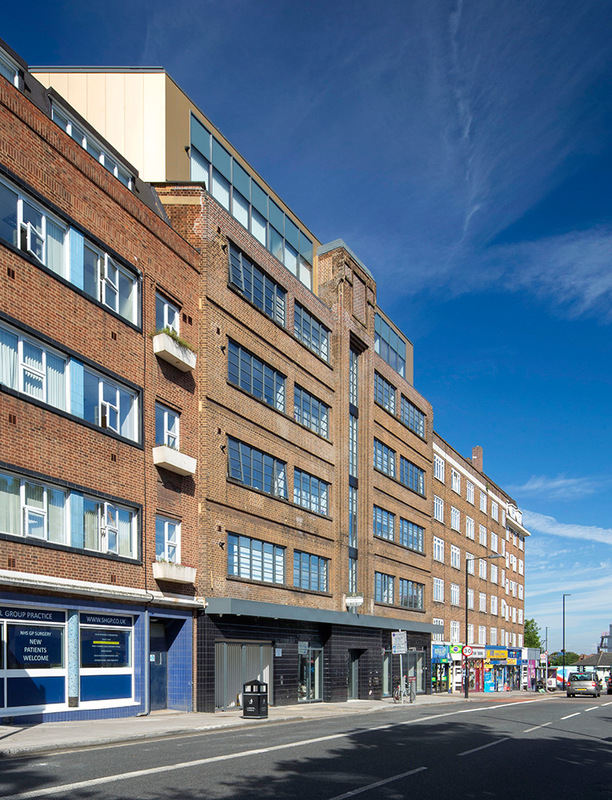 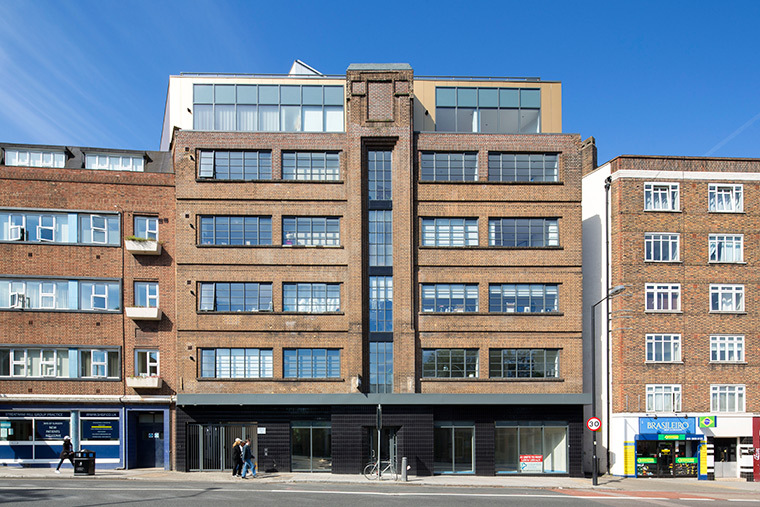 “The South London Press” building is a 1920s, art deco, six storey, brick building and we have restored the original facades, remodelled the interior and added a floor and a half to create two new penthouses and a communal roof terrace. 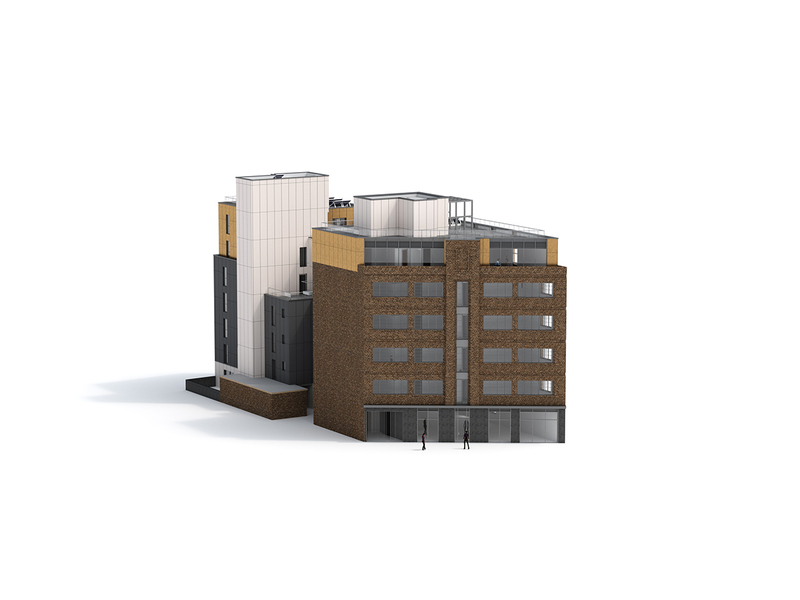 The new extension adds seven storeys of additional accommodation.